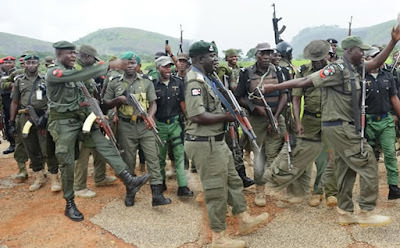 The Deputy Inspector-General of Police, Mr Agboola Oshodi-Glover, on Thursday said men of the Nigeria Police Force were ready for the 2019 general elections. He said they would ensure the elections were free, fair and credible. Oshodi-Glover said this when he visited the Ogun State Governor, Ibikunle Amosun, in Abeokuta, the state capital. The police boss said measures were being put in place towards ensuring free, fair and credible elections in 2019. He said, “The Nigeria Police Force is prepared for the coming elections. We are ready to ensure adequate security before, during and after the election. The police boss, who is on tour of South Western states, to sensitise policemen on their roles ahead of the general elections, appreciated the governor for assisting the force in carrying out its constitutional duties in the state. Amosun, in his response, commended security agencies for ensuring peaceful coexistence in the country. He urged them to continue to apply professionalism in their dealings during and after the elections. The governor lauded the Federal Government for its fight against terrorism. He called on policemen to be more proactive in the discharge of their responsibilities, so that efforts of government and other agents of peace and development would not be in vain.